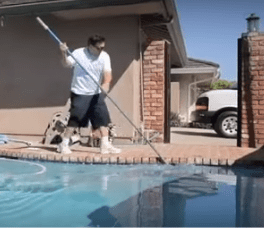 Orange Pool Cleaning Service - Calif - Pool Heaven Inc.
New customers want to know “What does your Orange pool cleaning service include and what extra charges would we expect?”. This article will explain our Orange pool cleaning service policies and charges. 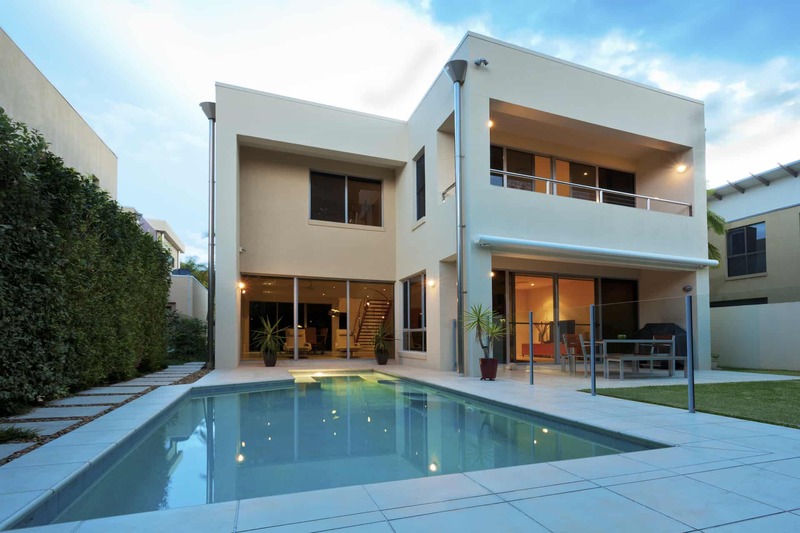 Our current base Orange pool cleaning service rates are on our services page on our Pool Heaven website poolheaven.net. Some areas like Orange, Irvine, Villa Park, Newport Beach, Santa Ana, Tustin, Anaheim Hills, etc. 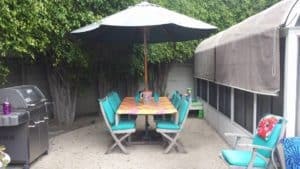 have bigger and more lush backyards. These areas may need more work and thus cost more than our base rate. Some areas in these cities are more affected by windy conditions also. It all depends on how much time it takes to keep your swimming pool clean and safe. 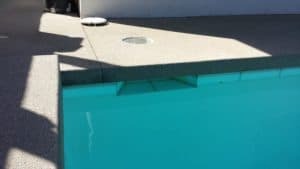 We provide free swimming pool cleaning service estimates to explain what we would charge and why. These actions will be done as needed to keep your swimming pool safe and clean. 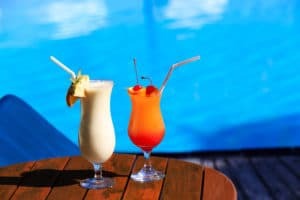 Normal adding of chlorine and acid are included with your Orange swimming pool cleaning service. 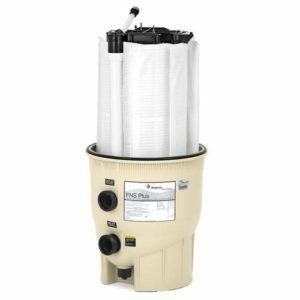 We have annual extra charges for filter tear downs and extra chemicals. 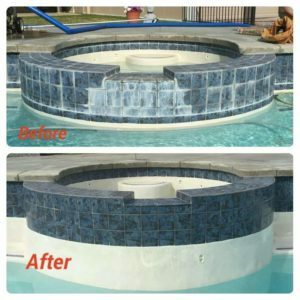 Many swimming pools in these same cities need their filters torn down, inspected, and cleaned twice a year. 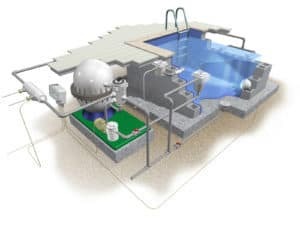 This filter service keeps swimming pool systems running efficiently and elongates the life of your pool equipment and parts. We charge $95 for the filter clean at the time of this writing. You can clean your own filter, but you need to let us know, so we don’t schedule one for you. We do not recommend this unless you are an expert at this job and we cannot help or advise you how for liability. You could hurt yourself and others if not done correctly with caution. We have extra chemical fees for conditioner, algaecide, phosphate remover, and clarifier. 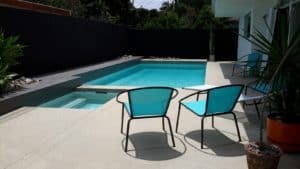 This fee may be different for some pools depending on the environment, but most of our pools have a one time fee in April for around $95 at the time of this writing. This annual extra chemical fee covers all these chemical products as needed. One side note is that black algae needs a special treatment that is not included with this fee. Black algae tends to come back like termites and takes more thorough treatment. We have a special non-metallic algaecide that only pool professionals can buy. This product is amazing and adds a sparkle to our swimming pools that many untrained eyes notice.It has several advantageous properties on top of killing algae such as assisting with over use and parties.The chemical agent helps keep your swimming pool clean and clear even if chlorine levels drop, so you can expect sparkling pool water all of the time. Other Orange pool cleaning service companies may use metallic products to kill or prevent algae in your swimming pool. The metallic ions can stain and hurt your pool and are not good for body contact either. Very rarely these metallic products have to be resorted to though. VERY RARELY! Our special algae killing chemical does not contain any metal and does not strip chlorine from the swimming pool like these metallic algaecides either. This special chemical is very expensive, so we have to charge extra for it, but it really is worth every bit of the cost. We do not add water to your swimming pool! You would not believe the amount of claims and damage that ensue from pool cleaners who forget to turn the water off. 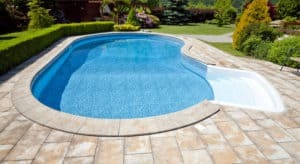 Pool cleaners are very busy and handle 15 to 20 swimming pools in a day while handling a cell phone and any other pool related issues that come up. Many forget how easy it is to forget to turn the water off and will do it until they flood someone’s yard. Our insurance company reminds us often to NOT FILL POOLS WITH WATER. Be sure and use your oven timer, cell phone timer, or leave your keys at the faucet when you fill your pool with water! The homeowner is responsible for keeping the pool water level around mid-tile to 3/4 up the tile line. If you look at your skimmer hole, you want the water level a little higher than the mid level at all times. We take 3 weeks off a year for vacation. The weeks are Easter, Thanksgiving, and Christmas. It could be the week before, during, or after. Please call or text us weeks before if you have a request or want to know which week! In the event of a holiday, we will come the day before or after the holiday. Please call or text us with specific questions. In the event of rain, we will clean out baskets, check and balance chemicals, and come back on your next service visit to clean the pool. There are several hazards with the rain such as traffic accidents, lightning, slipping/tripping, etc. This is without mentioning the difficult challenge of working in the rain. We send invoices out between the 10th and the 20th of every month and the payment is due by the 10th of the following month. This means that we would send the invoice out around August 15th for the month of August service and it is due by September 10th. We have a late fee of $5 or 1.5% of the total amount owed (whichever is greater) every month if payment is not received by the 10th of the following month. You can pay with credit cards and we have autopay as an option as well. We can email your invoices and they come with an instant pay option. We are forgiving of this late fee and do not like to use it, but cash-flow is very important to small businesses like ours. Remember, we are paying for the labor, materials, insurance, trucks, etc. before we even send the invoice out. Late payments can cripple work first, bill after small businesses like ours. Our office hours are Monday through Friday from 9 a.m. to 5 p.m. We are closed on the weekends. Texting is the fastest way to communicate with us. We do not have to retrieve a voicemail to write down a phone number that may or may not be clear. Texting helps us save time to keep you informed and you can also email us for convenience. Let us know if we can provide a free Orange pool cleaning service estimate for you. Put your swimming pool in Pool Heaven now!